Augmented reality is a technology which enhances or visualizes an object when seen through a gadget like mobile.The Image when viewed through the app in mobile or tablet comes to life (animated).And is in sync with the object in reality.For example if you have an image and you view it through the app to augment if you move the image in real the augmented view on device will move accordingly. Augmented reality is the next generation technology and is making a great impact already in many fields.Taking the education or play in consideration.It makes the screen time more interactive.Learning through touch and interaction is known to have deeper impact. 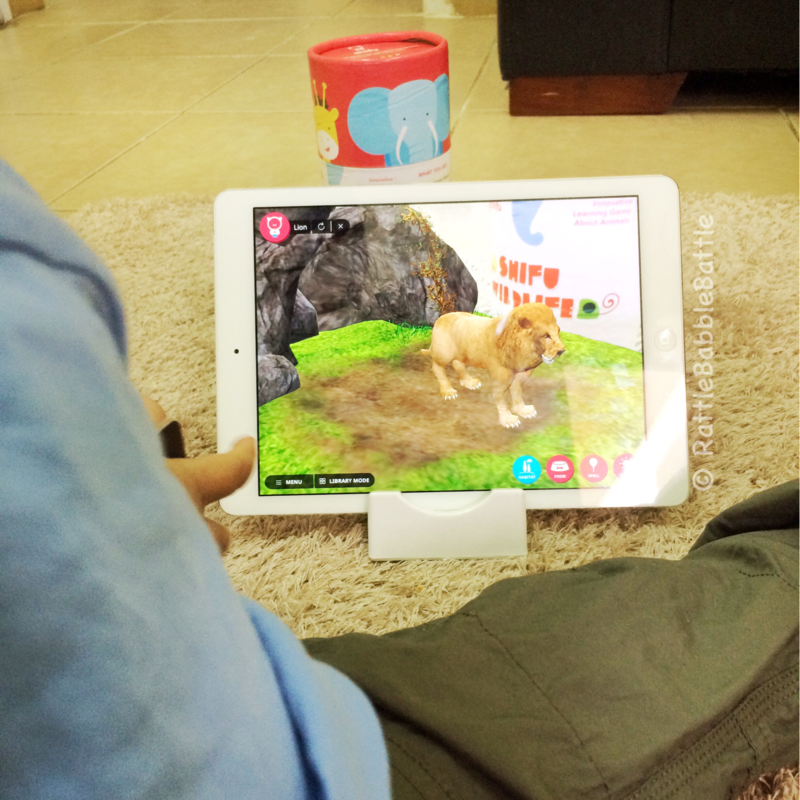 augmented reality in play and education is providing that interactive way of learning. 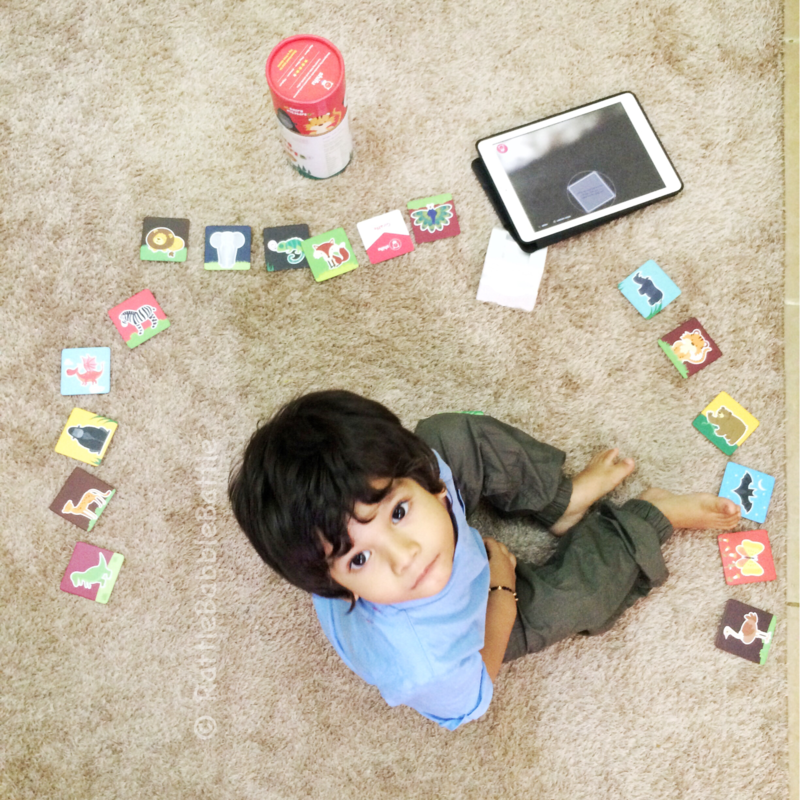 How to use augmented reality for educational based play? So now the question arises how to make the augmented reality work for us and impart knowledge and make the screen time effective. 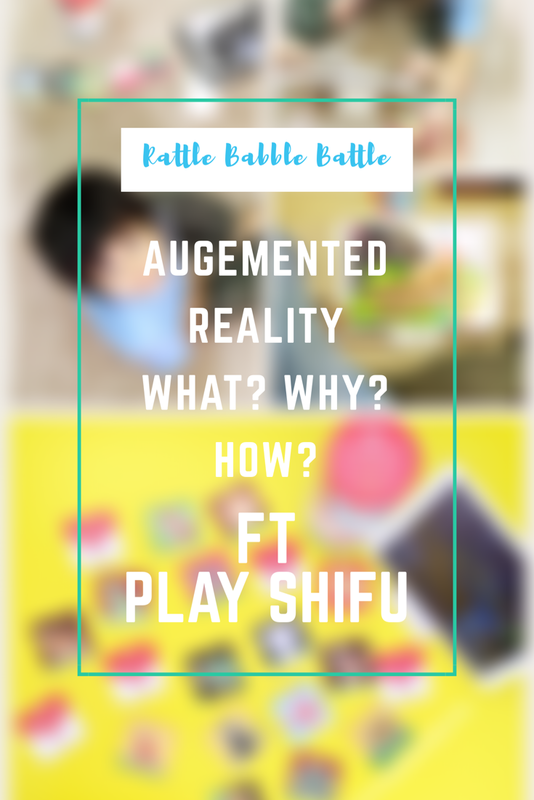 There are many games available which are based on augmented reality,I will be talking about my personal experience with my two-year old son and augmented reality games from Play Shifu. Being born in the age of gadgets no doubt these little ones have extra flair over the gadgets, and hence technology serves as the best nanny.But all said and done technology has its own loop holes and as a parent instead of using it as nanny we need to use it wisely. Augmented reality games like Play Shifu are interactive and hence can act as a great source of learning when played in moderation. Choose the age appropriate play for your kid. Click on the information mode where they can learn about the particular object or animal on the card. Let them touch and move in the screen. Let them move and adjust the card. Switch to library mode and let them go through that. It is always advisable that you administer your kid while they use gadgets like mobile or hand them over with limited access or app lock, So that they can’t access something which is not meant for them when left unattended. How to play Shifu Wildlife ? enjoy watching the cards coming to life. 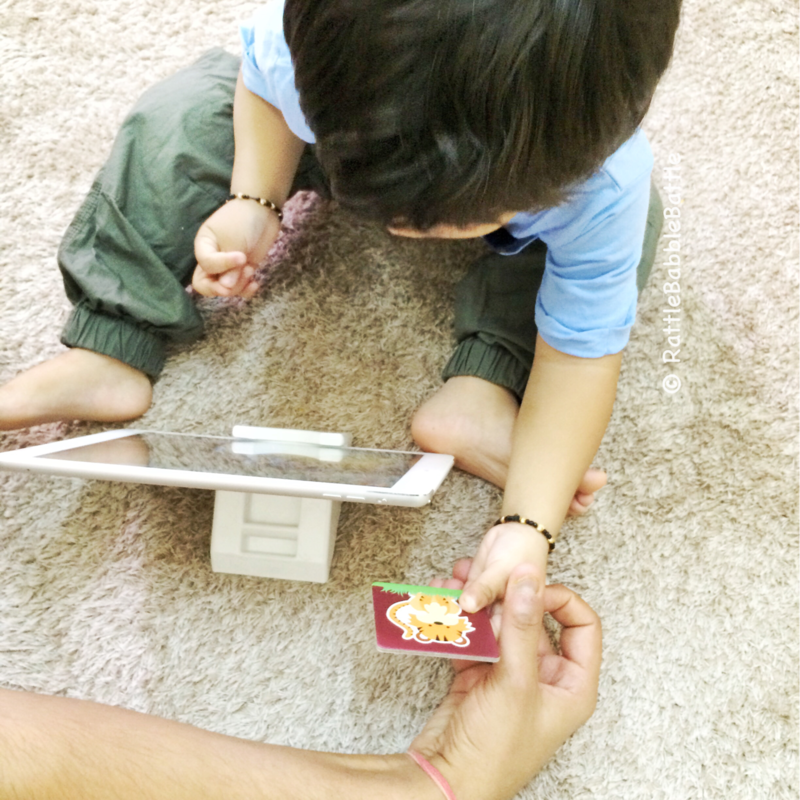 This was the first time Nirvaan was experiencing something like this so we were pretty excited to see his reaction on this particular game.Animals are his favourite and I was sure he would be happy to see the flashcards. The app was launched and while it took sometime to launch probably 2 mins Nirvaan was impatient and constantly asked why is it not working (lesson learnt download and launch before presenting it to your kid). And once it was launched his father showed him how to place the cards and see the animals come to life in the screen.There was no stopping after that.He is currently in his I can do it all phase, so we took a back seat and he was busy shouting the names of the animals he knew and asking for those he didn’t. Then after few days we again played Shifu wild life but this time we played and learned about the natural habitat and sounds. The other day he played the feed me quiz and he loved and found it really funny when the automated voice said No or that’s tasty. He is too young for the fun spelling game hence gave it a skip for later. The library mode is a nice way to browse through without using the cards. For a two-year so much of information in one go can be over stimulating. He will easily lose interest if I hand him over the app and let him play all. Step wise learning is more enriching. It will be less confusing and he will have a better understanding. The app can heat up the device when used for longer duration. And anyways exploring the whole app in one go needs time and I told you we use technology in moderation. The activation code can be used in three devices max. The whole process of download and play is very easy to understand. The flash cards are of great quality and hence can be used for offline learning as well. The stand comes really handy for watching movies and YouTube videos for parents. I liked the lines technology serves as nanny but we have to act wisely. Lately, I have read a lot about Playshifu. It’s a good app that kids can learn a lot while playing. This is interesting. Augmented reality makes learning so much fun. It’s also like having your own 3D experience in the comfort of your room. Sound effects and animation makes it more interesting. Thanks for sharing. my daughter loved play shifu too. its such a fun and educative way to teach kids, theres no need to worry about screen time now as this will keep her occupied for pretty long time. As you said she is young for few features of the game but thats ok. purpose is served. I got this for my kids on their birthday and they are loving it! It’s fun and educational so I am enjoying it too ! I have heard about PlayShifu. Finally we can use the gadget for learning and not worry about the ill effects of using it . Thanks for sharing this detailed informative post on Augmented Reality and Play Shifu. I really liked the idea of introducing screen time in form of AR, will definitely try this game. This was a very informative blog post. This is certainly going to make me, form an informed decision about my kids learning habits. This is quite an informative post on this app, great job. I will ask my cousins to use this app for their kids! Augmented reality is the new in thing. It is fun for kids to experience the characters in 3D. This looks like an interesting game. Actually, in today’s era, you can’t keep your child away from gadgets especially when you as a parent also engaged in it, be it for work. So this augmented reality comes in as a saviour here. I wish I had known of it when my kids were smaller. So many unique toys these days. Looks very interesting. Looks like baby enjoyed it too. Technology IS treated as a nanny by most parents. A good reminder and wonderful share. what a fun way to teach kids and an appropriate way to utilise the screen time as well. Waiting for my little girl to grow up to learn things in such unique and interesting way. This is wow! I am sure my kids will just love it. Downloading shifu right away. Thanks much! This sounds like very good activity for kids and he looks so much involved while playing. This is interesting.I have heard about PlayShifu, so got this for my little one. Its fun and educational at the same time. I was looking for a way to keep my 5 year old daughter occupied in an educational sort of way. This seems like the perfect solution. This is a great review. I have been wanting to get one of these for babyT but was wary of using technology. But it seems to be a very enriching way of learning. And i think T is ready now. I wanted to understand more about augmented reality and your post really helped me. Thinking to buy for my 3 yr old. THis is such a fun game. I love augmented reality even more because I have myself developed something using this technology. As a software person, I have my hands-on experience with it so I know how capable it is. Thanks for this review also. I have experienced augmented reality at a kids fair. It really is very effective and fun as an experience. Loved your post that iterates the benefits of augmented play. we really enjoy playshifu. its been moren than 8 months but kenisha keep opening her box. we use them as flash cards too! Augmented reality technology has been around for some time now and finally India is catching up. Shifu is a trendsetter. A very interesting way of engaging the child that too in a constructive activity. Love the detailed description provided! I have the box of Jungle Safari cards by Play Shifu. Thanks to Play Shifu, my daughters learned about all animal sounds, habitat & their food at such early age. And with so much fun of course!